Install View , Almost There, Vargas Museum. 2016 was the most dangerous year on record for environmental defenders. 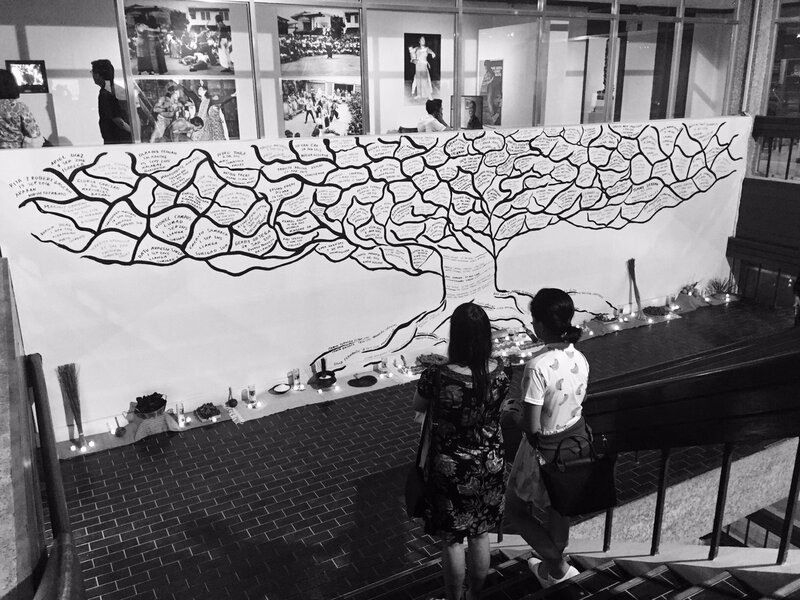 More than half of those killed came from just three countries, Brazil, Philippines, and Colombia (where I grew). 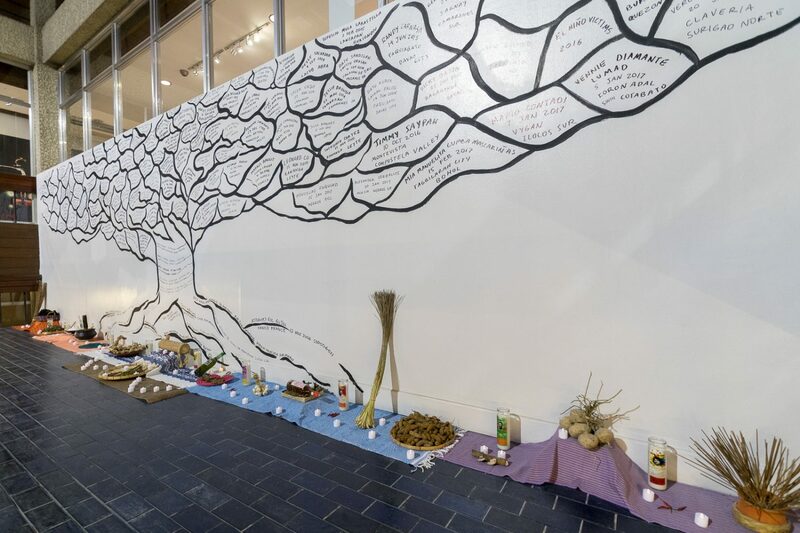 All are home to fierce battles between indigenous residents and corporations engaged in environment-harming enterprises like logging, mining, damming, and the expansion of plantations. 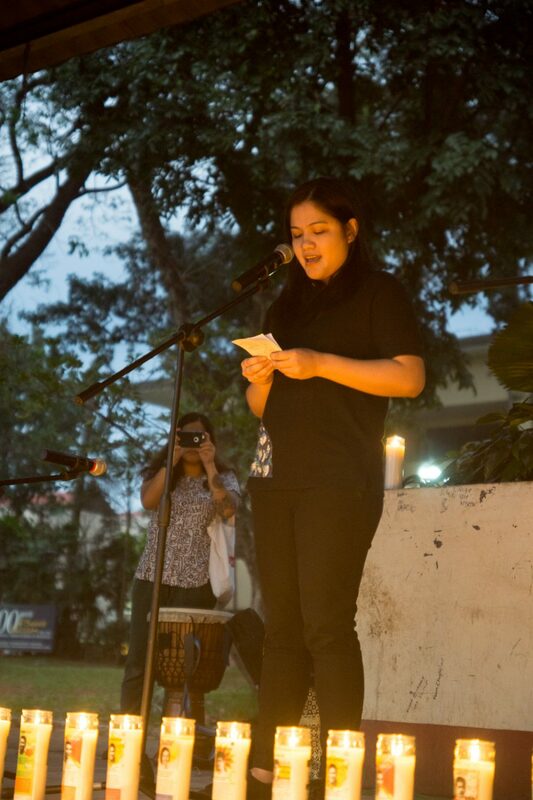 We want to honor them by installing an inclusive shrine or altar, built upon a comprehensive and historical list of those killed, disappeared, tortured or criminalized in the Philippines, as well as some key activist figures from different struggles across LatinAmerica. 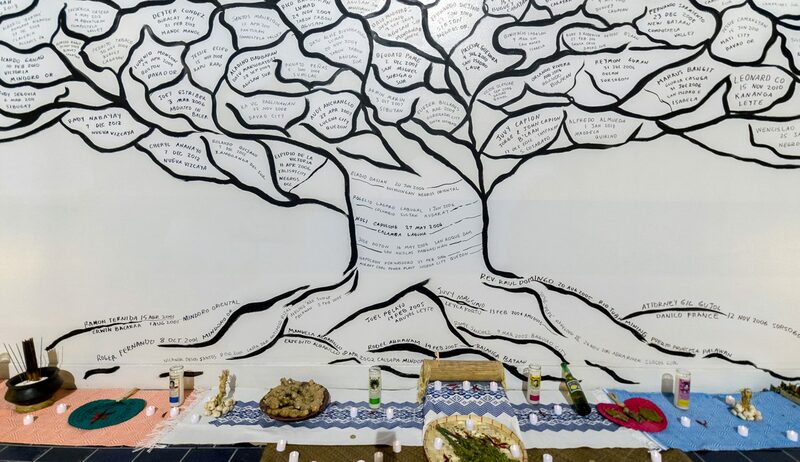 This installation is part of Almost There, at the Vargas Musuem in UP Dilliman, Quezon City. 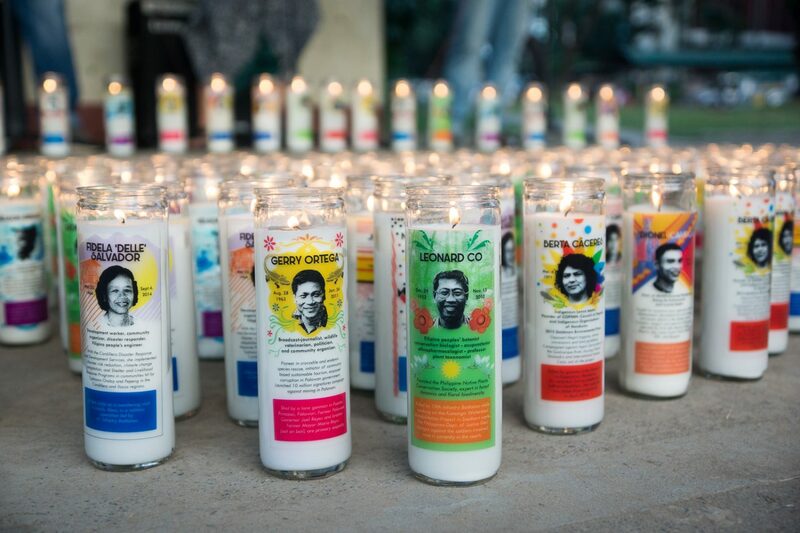 With the advice and collaboration of Karapatan and Kalikasan grassroots organizations and activists based in the Philippines, we highlight 10 cases in a series of customized votive candles, designed to celebrate their legacy. 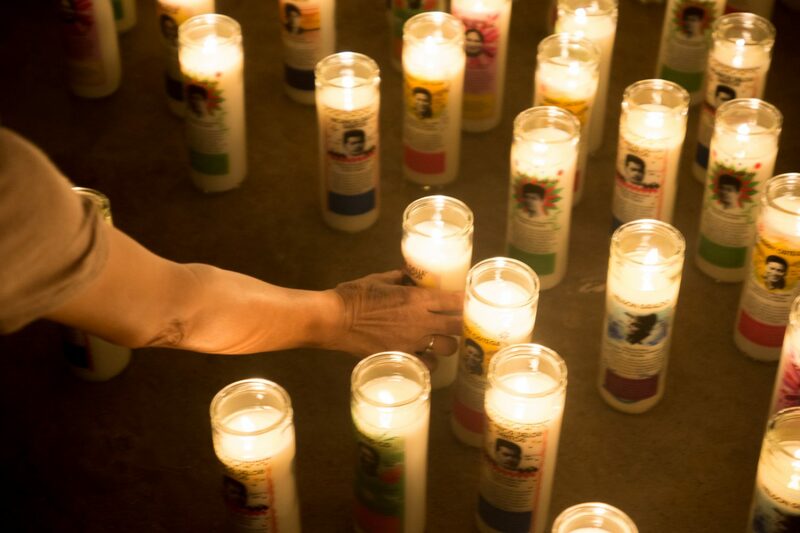 Each candle bears the portrait and a small text that gives account of the lives and legacy of Leonard Co, Gerry Ortega, Delle Salavador, Juvy Capion, Dionel Campos, Nicanor de los Santos, Jimmy Saipan, Cristina Morales, and the Latino American activists Berta Caceres and Nelson Giraldo. 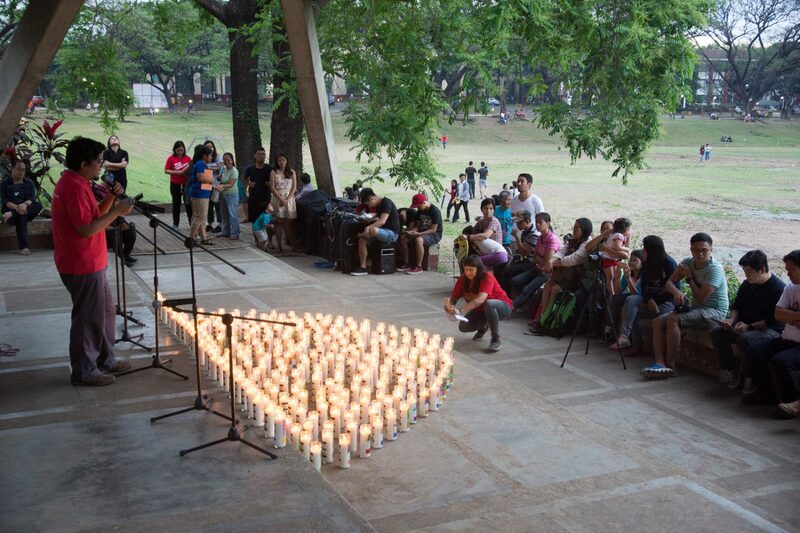 The customized candles were used during a candle-light vigil that took place in the Sunken Garden at UP Dillliman campus. 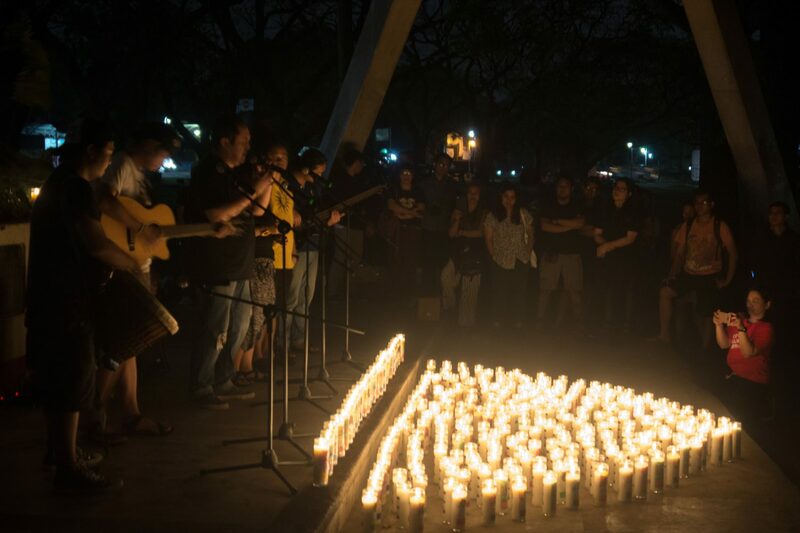 During this public vigil, family members of the victims, such as Mica Ortega (daughter of Gerry Ortega), Nelson Salvador (husband of Delle Salvador), and fellow Philippine activists from Karapatan, Kalikasan, AGHAM, Justicia, NUJP, CWERC, and Tubaw Music Collective, rallied about those fallen in their home country, as a way to trace and weave a genealogy of resistance and emancipation.